All these files are in the size of 12x36, which is the most preferred size in India. 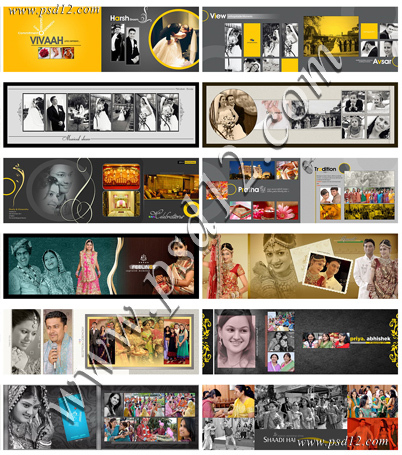 You can use all our templates in Karizma album, Canvera Album, Photo Book etc. All files compressed with rar format, so for use first unzip all files with winrar software and use with your image editing software which support PSD file format. 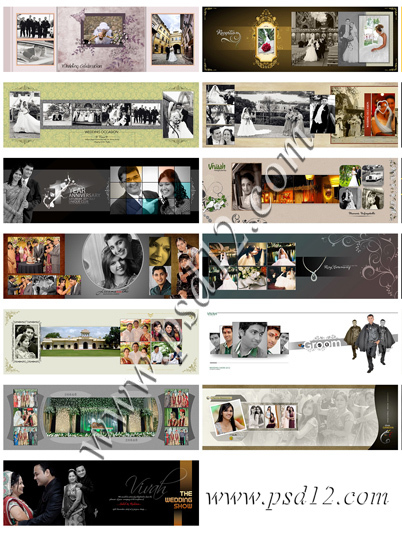 The images shown below will show you how your photo album will look after the completion.